I don’t know what that means, but I do know this. If you’re walking around the town, don’t ask them how many witches they burned. They say it with pride, like a dog owner telling you he never hits his dog, but only chastises him. I could tell that even he was embarrassed by that one. Ask as many people as I could how many witches they burned. I can tell you from experience that if you try this little experiment, each and every Salemite you encounter will give you the same lecture about hanging (but never burning) the witches. The only part that varies is whether or not they’ll disclose the poor woman who got crushed by stones. I was going to give the Salemites a pass on all these indiscretions, until I saw this thing. That’s right. 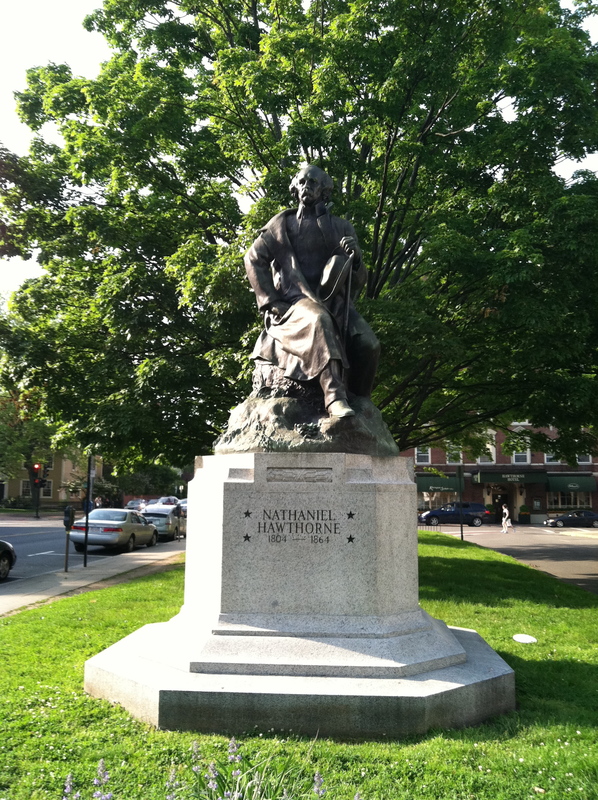 It’s a statue of Nathaniel Hawthorne. The man whose only literary goal was to torture me in high school. “This guy lived here?” I ask the tour guide. “You have a good afternoon,” he says and walks away. I left the town with a thorough disdain for all the people of Salem and their sadly misplaced priorities. I even thought of a new motto.